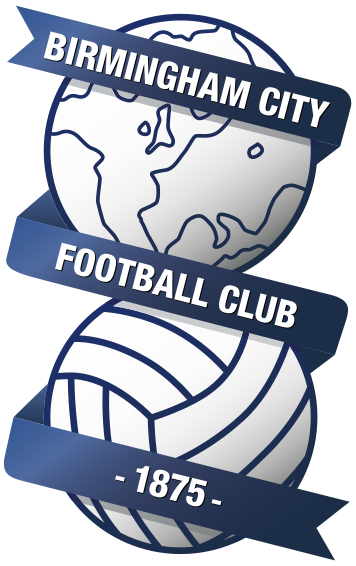 As expected, Birmingham City last night confirmed two new additions, with Connor Mahoney and Omar Bogle being brought in to provide some much needed squad depth. Here we take a look at what the duo will bring to the table, and what they have achieved in their careers prior to making the move to B9. The 21-year-old started his professional career with Accrington Stanley, and made his debut at just 16. James Beattie, who is of course part of Garry Monk’s backroom staff, was manager of Stanley at that time and handed Mahoney his first ever professional appearance. Beattie, and Blues, are clearly aware of his talents. Six games into his Accrington career, Mahoney found himself on the move. He joined Championship side Blackburn Rovers and went on to make 21 appearances for the Lancashire club. He joined Premier League side Bournemouth for £450,000, but has struggled to make an impact since his move in 2016. The winger spent last campaign on loan at Barnsley, and actually helped his side to a 2-0 victory at St. Andrews in February. Having spoken to fans of Blackburn, Barnsley and his parent club Bournemouth, they believe that Mahoney definitely has something to offer. Mahoney is useful from set-pieces, his left-footed delivery is something which has been praised and given that Blues struggled from set-plays last season, his dangerous delivery would be welcomed with open arms. Another positive part of his play that has been pinpointed is his desire to be direct and take on players. However, some have suggested that Mahoney’s physicality needs to be improved upon. At 21, that will undoubtably come with time. Bogle was once part of the Blues academy set up. He spent two years with the club before joining Celtic in 2011. He never made a senior appearance in Scotland. The Sandwell born striker then plied his trade in non league, first with Hinckley before joining Solihull Moors in 2012. It was with the Moors where Bogle found his feet, he scored an impressive 62 goals in 111 appearances. Bogle’s goalscoring abilty did not go unrecognised. Grimsby Town secured his services in 2015. He went on to guide the Mariners back to the football league, scoring 32 in 68. And then his major break came, championship side Wigan Athletic forked out around £1 million for Bogle in 2017. He scored three times in 14 outings, before being sold to Cardiff City in the summer window of 2018. I for one have high hopes for Bogle. His pace, strength and sheer athleticism all points towards him fitting in Monk’s system well. We can expect to see good hold up play, and electric bursts of pace and energy. The thought of Adams, Vassell and Bogle is a thought which excites me. It could be a real recipe for success. Oh, and let’s not forget Bogle has been known to be a bit of a free-kick specialist. A big thumbs up for Omar Bogle – here’s hoping it’s a happy return for the Bluenose.